Tower Hamlets Campaign Win! – Overland saved! 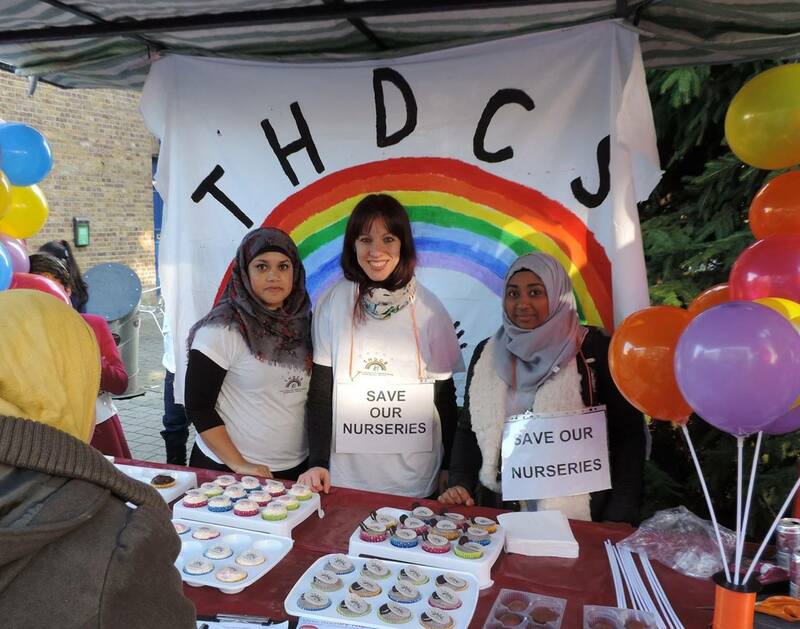 Last night it was with great relief that we heard that Overland Day Nursery would be kept open, along with the other three day nurseries operating in Tower Hamlets. This result came about following a hard fought campaign by the Tower Hamlets Deaf Children’s Society. I first met with parents from the group in October when they raised their concerns about the Your Borough, Your Voice consultation that threatened the only pre-school provision for deaf children within the borough. At this point the group had already established a petition and drafted letters to go to the council. Thanks to the tireless efforts of members of the group, such as the Chair Husna Begum, with the support of the NDCS Regional Director for London Nicola Ward, the campaign went from strength to strength including news coverage and garnering support from local MPs and councillors, leading to the announcement last night. The NDCS Policy and Campaigns team fights to improve services and oppose cuts both nationally and regionally and this success shows that campaigning works and that cuts to vital services are not inevitable. However this campaign mostly highlights the massive impact that Local Groups and the community can have when they come together to combat regional cuts. You can find your nearest Local Group here or if you feel there is an issue in your area which requires campaigning please contact the NDCS Policy and Campaigns Team. We at NDCS would like to say a big thank you to those in Tower Hamlets who took part in the campaign and the best of luck in the future. This entry was posted in Campaigning, Education, England, Uncategorized and tagged Arthur Thomas, Campaigns, Cuts, early years, Education, Local Government, local groups, Tower Hamlets. Bookmark the permalink. ← How can we get better Teachers of the Deaf?